Heads up! 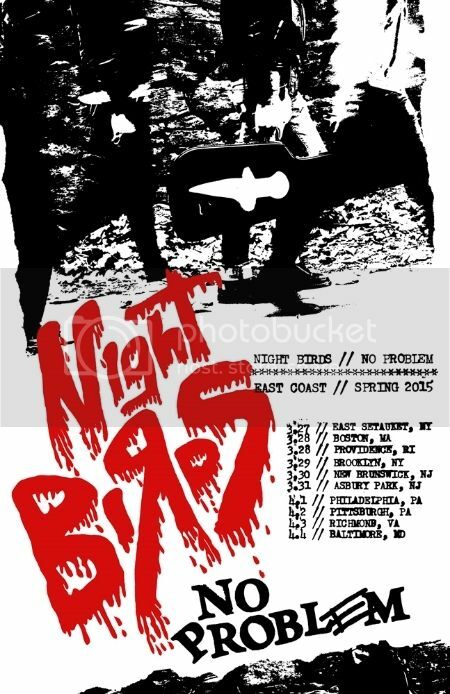 Night Birds are heading out for a quick, quasi-local 10 day tour starting next week. They’re teaming up with a killer Canadian band that we can’t name due to border crossing BS, but you can probably figure it out by looking at the tour poster. Want to be in Night Birds new video? Well, if you live in the NYC area you’re in luck. They’ll be filming their entire set at Acheron in Brooklyn on March 29th for a video project to coincide with the release of their brand new full-length on Fat! Stay tuned for those details. Additionally, this show is doubling as a benefit for Nate Gluck (Ensign).You can read more about how you can help by heading here.